Outsourced-IT services, Microsoft certified service desk technicians to assistant and advise on computer and printer repairs, cloud storage, data backups to small businesses and individuals. ReidIT Services works to provide IT-support for all of your workstations, laptops and servers, to ensure that they perform in the way and at the level they should. Our support services are tailored to individual requirements ensuring accessibility for all combinations of technical need and budget. In addition to supplying a collection of reliable, cost effective services, ReidIT Services work in partnership with their clients in order to help them achieve their goals through the effective use of IT technology. We specialise in computer maintenance and support, a single point of contact, regular on-site visits, impartial consultation and effective application support. IT-support is available in four basic types, Standard Support, Remote Support, Pay As You Go and Pre-Booked Support. SALE 25% OFF ALL IT-SUPPORT PACKAGES!! Office 365 and Google Apps for Work provide businesses with the ability to run some or all of their IT services from the Cloud. Hosted in secure data centres and accessed via the Internet, services such as the latest email, collaboration and communication tools are now available for one simple and affordable fixed monthly fee. Flexibility; able to add additional users, scaling up and down based on changing business requirements. Benefit from using the most up to date versions of software, providing access to the latest versions of the common office application tools. Access anywhere, anytime via an internet connection using Office WebApps. Robust security and reliability backed by 99.97% uptime Service Level Agreement guarantee. Fully cross platform support for all devices ie. Android phones / tablets, iPhones / iPads and Windows Devices. The Cloud. You've heard about it, but do you really know what it is, or more importantly, how it can help your business? ReidIT Services has all the answers, with the IT and business expertise you need to simplify your transition to the cloud. We eliminate your day to day IT worries, anti-virus repairs, computer repairs, hard drive failures, cloud computing..
ReidIT Services are based in London, twenty minutes from the City. We supply comprehensive fully managed IT-Support contracts for small businesses. Business experience counts for a lot when you are looking at an IT-support solution for a small business environment. Our proven track record of cost effective and reliable delivery of IT solutions is a direct result of our experience in this area. Our primary focus is on providing a range of proven and quality services to support and develop our client's infrastructure for a fixed monthly fee In order to be able to provide our clients with a comprehensive, best-of-breed IT-support service, we have spent several years building key business relationships and investing heavily in our own infrastructure. We are now at the point where we can provide all of the technology related services that a company may need, and this site provides information on each business area and describes our support for it. Companies that have chosen to bundle their IT-Support with us have found that they benefit by saving money, saving time and improving their overall service satisfaction. Ultimately they let us worry about maintaining their technology, allowing them to concentrate on running the business. Remember whatever technology you have a problem with, you only have one number to call to resolve it! With a fast response time, a single point of contact, our Microsoft certified service desk technicians take ownership through to resolution. To ReidIT Services the service desk is not just a single point of contact, users feel that when they need assistance for a fault or a “How Do I” question, the computer support technician's are the “Go to” people. The user has the confidence that when they reach out to a team of individuals they will take the time to understand the urgency or importance of their issue or query. The computer support technician takes ownership and is accountable through to resolution. We believe in helping companies become profitable, making each day productive and stress free by creating a healthy IT system. Running a successful business is exciting, nothing can dampen that excitement more than IT problems, we bring your excitement back. With our trusted SLA, your staff can be rest assured that when they contact ReidIT, their problems will be dealt with and we will get them back up and working with the minimum of disruption. Tape backups, cloud storage, disaster recovery or disaster recovery as a service we provide secure backup solutions for small businesses. Today businesses are becoming more and more dependent on computer systems to run smoothly, as a result hardware failures or any data loss could be costly to your business. An offsite data backup solution (tape backup or cloud solution) duplicates critical company data to a secure storage facility offsite. Long term retention and incremental backups provide a cost effective highly redundant storage solution for your business. 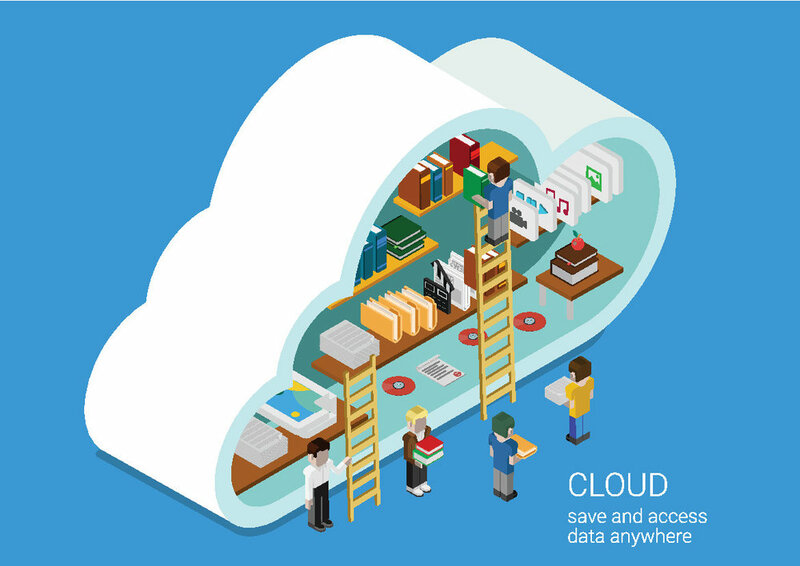 We provide cloud computing, cloud storage solutions, get started with little or no capital cost required. “Cloud” doesn't really mean anything. As soon as you start looking into it, you start drowning in jargon. Do you need public cloud, private cloud, hybrid cloud? What about software-as-a-service, or desktop-as-a-service, or infrastructure-as-a-service? If you’re trying to make the right choices for your business, it’s a nightmare. Contact us today for all your computer repairs, software and printer problems. Fast response times, onsite and remote support packages available.